Status: Giveaway now CLOSED. It’s over. Thanks to everyone who participated. Have fun fragging some Zerg. The new giveaway is aimed to those among our visitors without a digital camera, scanner, or mobile who couldn’t participate in the previous photo giveaway. (Note: These keys won’t work in Mac Beta according to Blizzard). Follow all these steps to participate. Step 1. Go to our Blizzplanet Twitter page and Retweet this article and Follow Blizzplanet for automatic news updates. (Note: You must login to Twitter to see the retweet icon. Register to Twitter if you don’t have an account). Step 2: Go to our Blizzplanet Facebook and press the “Like” button (after you login). Participating won’t guarantee a beta key. Only one entry per person. While supplies last. The following are some of the proud winners of a StarCraft II: Wings of Liberty beta key courtesy of Blizzard Entertainment. Blizzplanet will continue to giveaway beta keys while they last. If you posted a comment, but didn’t submit a photo by email, you didn’t get a key. Any remaining orphan beta keys will be given away through other means soon, for those not brave enough to submit a photo of themselves — Alliance, of course (oops). Kidding aside, not everyone has a digital camera, scanner, cell or iphone. Expect a new contest for fans without any of these devices — if any beta keys remain by tomorrow. Those who submitted a photo proudly showing off their StarCraft product — YOU ROCK !!! Blizzplanet, Worldofwar.net, StarcraftWire.net and Diii.net are going to BlizzCon 2009. I am staff member on those fansites too, so I will be on top of the news for each fansite providing updates from the show floor through our live chat (Cover it Live). This year I am bringing my own laptop—it’s arriving next week—and my HD Video camera. The reason of this post is to start collecting questions from our fans and visitors in advance. If you have questions for Tom Chilton, J. Allen Brack, and Ghostcrawler about patch 3.3 and future PvP: Battlegrounds and Arena—we want your questions. If you wish us to ask questions to Jay Wilson about Diablo III or to Dustin Browder about Starcraft II: Wings of Liberty—go ahead. We will very likely meet them in private at the press rooms where only fansites and gaming sites have access. Re-read your questions and polish them the best you can before submitting them. I already requested an interview spot with Richard A. Knaak and Christie Golden (pending approval) at Blizzcon 2009. I am gathering questions for Richard about World of Warcraft: Stormrage, and Warcraft: Dragons of Outland; and for Christie about Warcraft Legends Vol. 5 (her Draka story)—and I will probably ask Christie if she can talk yet about the untitled trilogy. You can post your questions below in the comments page, or submit it by email, or via Facebook (under just fans section). Grabbing all these questions in advance will allow us to focus our efforts on collecting live questions via Cover It Live chat for the developer panels and new game announcements at the show floor. I will video-interview briefly someone I am so glad to hear will appear at BlizzCon and has openly told me, wants to meet us—however, I am unable to reveal who it is at this point. You will be excited, glad and thrilled. If Blizzard makes the announcement at the show, I will gather questions live for said person. Last week, I traveled to Huntington, New York to meet Christie Golden at the Book Revue. I have to thank Blizzard Entertainment and Simon & Schuster, Inc for approving this interview in such a short notice. I finished editing the video interview with Christie Golden and sent it to both companies to make sure all that is asked and said there is ok by them. There’s some thrilling and teasing stuff revealed by Christie. The video interview lasts roughly 10 minutes. StarCraft: The Dark Templar, Twilight is the last book in the trilogy, which sets the backstory leading to the single-player mode from StarCraft II: Wings of Liberty RTS game. It lays bare the naked past of Dark Archon Ulrezaj and we get to see flashbacks of Tassadar through the Protoss Preserver’s memories. TWILIGHT will be on bookstores this upcoming June 30th. I was given a copy of the book in advance at the Book Revue, and plan to write a review—which of course won’t be shown until then. Expect the video interview pretty soon on our front page. Concerning the Tokyopop live chat with five writers and the editor, it is still in process to be approved by Blizzard. Be patient. This upcoming live chat will be about StarCraft: Frontline. In advance I wish to let fans know that you should ask about the stories within the manga, and to avoid asking these writers about the RTS game. 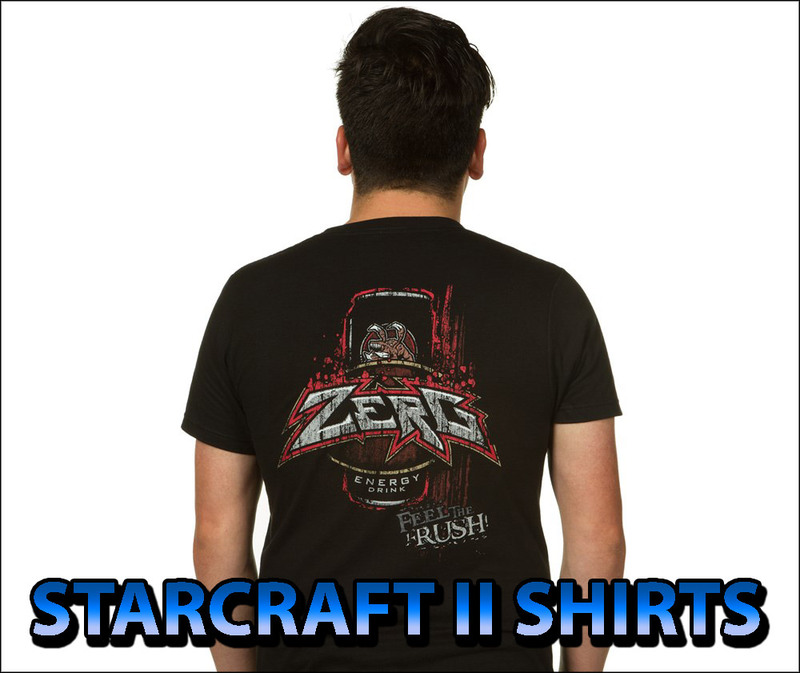 They do not represent Blizzard Entertainment and the StarCraft II Team. That said, you can explore with the writers each of the stories present in Volume 1 and 2. And ask about the upcoming Volume 3 on sale July 1. I purchased the first two volumes, and I am excited with some of the stories, and wish to learn more either in upcoming volumes or in-game. A few days ago, I gave you a heads up on the interviews and live chats planned for our community of fans who love the StarCraft lore in all its formats. First off, our interview with Simon Furman—writer of StarCraft # 1 (Wildstorm Comics) is in progress. We will post that as soon as it goes through the public relations process. While that gets back to us, this week we have the awesome live chat with the people behind StarCraft Frontline Vol. 3. Fans are welcome to come to our live chat with Tokyopop Editor Hope Donovan and the five StarCraft Frontline writers: Paul Benjamin, Dave Shramek, Grace Randolph, Ren Zatopek and Josh Elder. You are free to interact with all of them. The live chat will happen this Thursday, May 28 at 1pm PDT (4pm New York, 9pm England, 10pm Paris). Simply visit the following page to join the chat that day. Our next live chat will be on June 12 at 1pm PDT with our old buddie Keith R.A. DeCandido to talk about StarCraft Ghost: Academy scheduled to be on bookstores on January 2010. Hope to see you in the live chat. Stay tuned for any giveaways we may have for attendees. Blizzplanet is proud to announce a giveaway of three BlizzCon 2009 badges courtesy of Blizzard Entertainment. In order to enter our giveaway roster, you must first complete accurately all seven instructions below and submit them via email here. International entries are welcome (except where certain countries local restrictions apply). This giveaway ends on June 9, 2009 at 11:59pm EST (New York timezone). Winners will be announced the next day. Winners will have only three days to reply back, otherwise someone else will be chosen. Winners should bring their Photo ID (i.e. Passport, Driver’s License) to the VIP booth at the Anaheim Convention Center. The name of the winner must match the photo ID’s. Blizzcon tickets are not transferable. 1. Read Excerpt 4 of World of Warcraft: ARTHAS here. List all the character names mentioned in this excerpt. 2. What was Rathma’s former name? Who christened him with the name Rathma? And What page number it is revealed? —Read the Diablo: The Sin War Trilogy, The Veiled Prophet excerpt. The excerpt link may be found beneath the front cover image (click Browse Inside). 3. Read the StarCraft Frontline Vol. 3 War-Torn story. Summarize what’s going on and explain why you look forward to read this manga. 4. Watch our video interview with Chris Metzen and Micky Neilson and describe which question answered you enjoyed the most and why. 5. Register to the Mountain Dew World of Warcraft Game Fuel website. Take a screenshot of your account page, and show at least 300 points. Note: You don’t need to be a World of Warcraft subscriber to participate in this giveaway. You can increase your points by going to all the options available within the How Do I Earn Points? section. Once you reach 300 points take a screenshot and attach it to the email. Note: If you don’t have a screen capture software, you may download XNview to capture images. Once installed go to Tools—> Capture Screen and click ok.
6. Read the four solicitations of StarCraft # 1-4, and write down the character names. Then view the preview scans and let us know what your impression is about the art, the dialogues and general tone of the comic book. Note: WIldstorm and DC Comics are launching Starcraft # 1 on May 27. You may subscribe to the 12-issues here. 7. Provide your WoW Character name or Battle.net screen name (i.e. Starcraft, Warcraft III, Diablo II)—for winners announcement purposes. Once these six instructions are completed, your entry will be automatically added to the roster of giveaway participants. Incomplete or inaccurate entries will be disqualified. Our sister site StarCraftWire.net has a challenge. Can you stand up to following each step to win a StarCraft Comic Book poster or even one signed by Chris Metzen and Micky Neilson? Read the full details. Every week new posters will be given away. Make sure to check out Blizzplanet’s giveaways too. I have the pleasure to inform fans that DC Comics will address our questions about the upcoming StarCraft Comic Book by Wildstorm Comics. It is satisfying to say the least, considering it has not officially been announced via press release. This is kind of a last minute call to all fans who are looking forward to this comic book. Please, submit your questions for our exclusive Q&A with DC Comics. As a lore fan myself, I always strive to deliver fans’ questions to the writers and developers on your behalf. You have awaited a decade to see this project become a reality. This is your opportunity to get a sneak peek in advance.